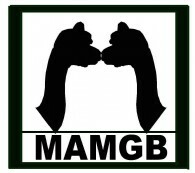 Sold Alpacas: Wisconsin, Waukesha: Greenbriar Farm - MAM Consulting Associates Inc.
GloryBe he is nice! SOLD! MAMGB Wasabye [Wha-Sab'-Yea] "A Blackening"
MAM2 Spatz "1950 shoes, not cause he spits!" MAMGB Iyota Sapa [E-Yo'-Tah] "Ultimate Black"
MAMGB Akab Sapa "Top Black"
MAMGB Kaichaga "From a Force of Nature"
Pass quality while holding fineness. This one came to us in god's hands. AFD=20 SD=4.6, Grand River Amstel son. MAMGB Aliya "Silhouette Against the Sky"
MAMGB Matahota [Mah-Tah-Hoe'-Tah] "Grizzly Bear"
MAMGB Wasicu [Wah-See'-Chu] "White Man"
Just to show we mean our slogan. SOLD! MAMGB Apo Niya "Breath Cloud Exhaled Crisp Morn"
SOLD - Congratulations Monaco Pines! Hit by lightening-made the crimp! Brown excellance-Did I say that? Passed away from a torsion. Her name means Birth - born on Marge's.